Toddlers are full of curiosity—and their newfound mobility means they’re eager to explore. 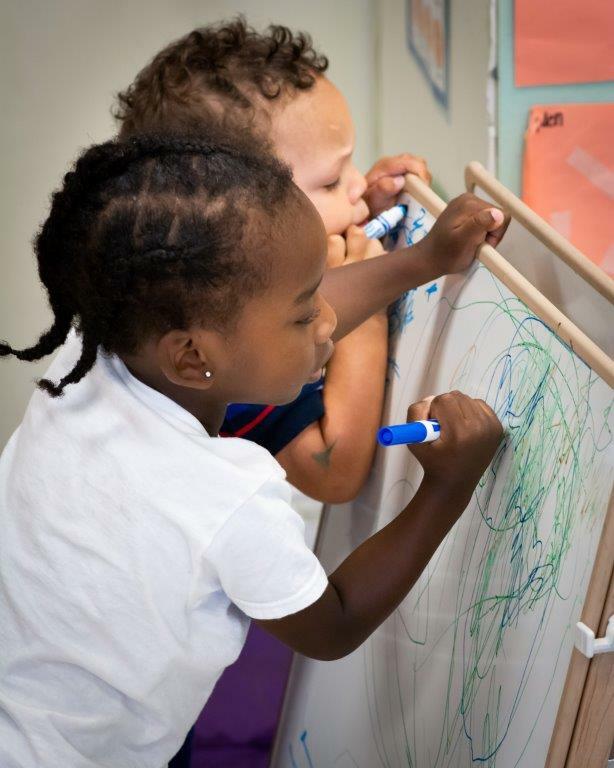 We provide our toddlers with plenty of opportunities to discover and grow in a safe, play-based learning environment. Children’s Village also maintains a high teacher-to-child ratio, which means your child will receive plenty of one-on-one attention and nurturing. Teachers communicate regularly with parents to help make sure every toddler receives the emotional and developmental support they need. And parents are encouraged to check in any time by using our online parent-teacher communication system, which provides real-time updates on classroom activities. Our toddler classrooms are fully equipped with costumes, building toys, and play props to encourage our students to let their imaginations run wild. It’s a safe, balanced environment in which your child can run, play, and still count on a reassuring cuddle. Daily schedules include a mix of teacher-guided group activities and individual creative play, as well as meals and snacks. Toddlers also enjoy a combination of indoor and outdoor activities as part of their regular routine. At this age, children love to move, and they’re fully encouraged to do so. By the time they’re ready to move on to our preschool program, these kids are social, imaginative, and love playing with friends. If that sounds like what you want for your own toddler, we hope you’ll contact us today. We believe children learn best through play. Find out more about our philosophy.